Recreate Joker's first appearance in The Dark Knight! Action figure includes alternate heads and hands, plus tools for the heist! 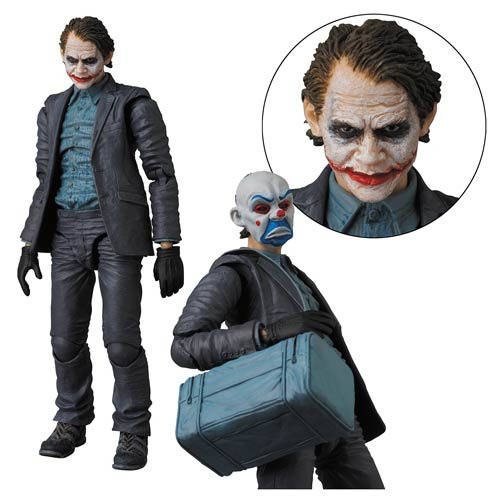 Standing just over 6-inches tall, this chilling reproduction of the sinister master criminal from opening scenes of The Dark Knight includes tools for the bank heist including a duffle bag, pistol, and removable clown mask! Ages 15 and up.